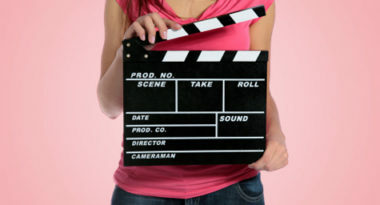 According to MediaPost.com, evidence shows that people engage with brands more fully through video. This leads to improved sharing metrics, better conversion rates and higher demand generation. While incorporating video production into your content strategy may seem intimidating, the following tips can help you turn video into an effective component of content. Take Control of Costs – While professional production companies can produce high-quality video for an equally high price, you can also create an engaging and effective video for less by doing an in-house production. First, determine your audience, your message, your goals, your desired audience action and your viewing vehicle. Then, look at your budget and decide if the pay-off is large enough to warrant the professional investment. 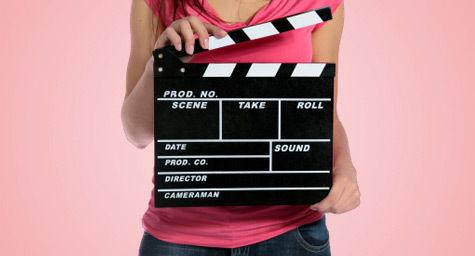 If the audience or the outcome is minor, than an in-house video is the cost-effective conclusion. Get The Tools & Tricks Of The Trade – Only a few basic tools are needed to make a video. It can be as simple as an iPhone and a video-editing app, or a Flip HD camera with a video editing software package. Preferably, you want to have a high-quality HD camera with an integrated microphone plus a lavalier microphone, or an all-in-one package to capture computer screen recordings with narration. Plan Out The Process – Start with a storyboard to organize your story and the content that will illustrate it. After you’ve developed an outline, have the correct forms of logos and other artwork to add during the editing process. Choose your title carefully by considering your keyword strategy and your video content. Let everyone know about your video by promoting through newsletters, social media and marketing. Finally, track views, shares, click-through rates and conversions. As you can see, video doesn’t have to vexing as long as you know the basics of production and stay firmly focused on the quality of the content. Read the Content Strategy Via Video article. MDG Advertising, a full-service Florida advertising agency with offices in Boca Raton and New York, NY, specializes in developing targeted Internet marketing solutions, exceptional creative executions and solid branding and media buying strategies that give clients a competitive advantage. Our core capabilities include print advertising, branding, logo design, creative, digital marketing, media planning and buying, TV and radio advertising, customer relationship management, loyalty programs, public relations, Web design and development, email marketing, video marketing, social media marketing and SEO. View MDG Advertising’s creative marketing portfolio.